Japan Rail Pass - Page 4 - Nippon Travel Agency America, Inc.
With Japan Rail Pass, you can enjoy unlimited rides on most of the Japan Railway train and bus services. This includes the famous Bullet Train, Shinkansen! Purchase it on our site, or contact us. We will send you the exchange voucher via FedEx. Visit any Japan Rail Pass Exchange Office and exchange the voucher within 90 days from your purchase. Please be sure to check your eligibility requirements before you order. Other questions, visit or FAQ! What's included with our passes? 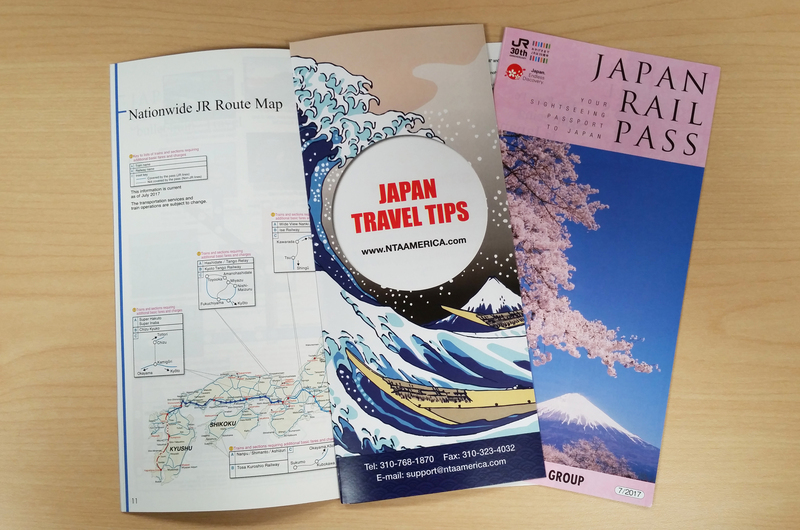 Sightseeing guide to Japan and an exclusive Japan Travel Tips pamphlet to help you travel like a local!